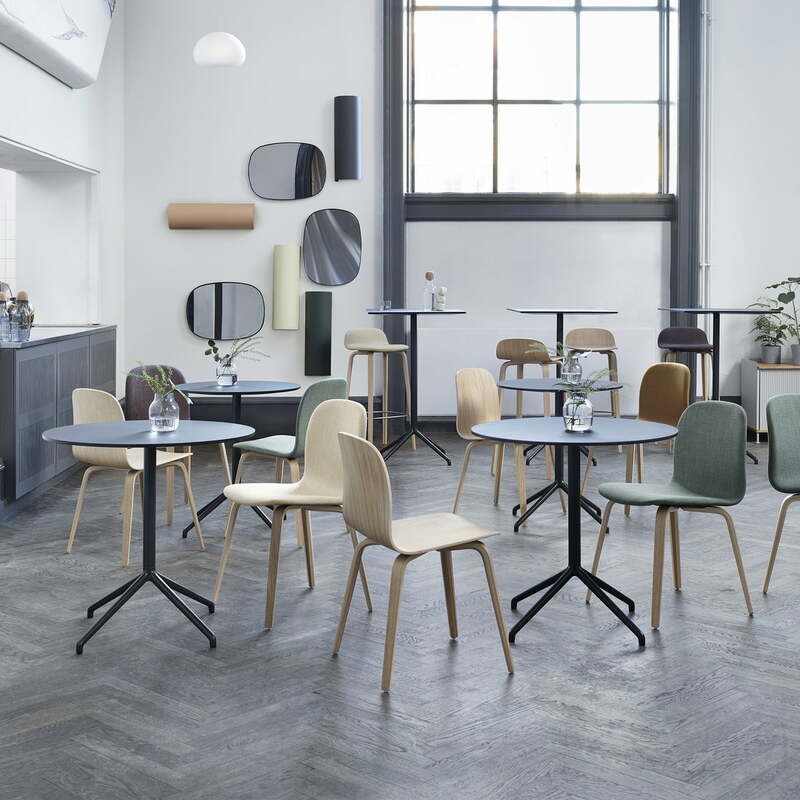 The Still Café table in round by Muuto is characterised by its clear expression without any frills, with which it blends in perfectly with any ambience. Used as a small kitchen table as well as in bistros, hotels, bars or in the office, it convinces with its simple design and refined details. The Iskos-Berlin design studio is responsible for designing the table. The round, laminated tabletop is enthroned on a powder-coated steel base. The base is a four-legged foot with angled edges. The combination of round shapes and defined lines makes the Still Café table a stylish piece of furniture suitable for any ambience. The table is available with different diameters as well as in a square version . Still Café table, Ø 65 x H 73 cm in black by Muuto in single view. The round, laminated tabletop is enthroned on a powder-coated steel base. The base is a four-legged foot with angled edges. 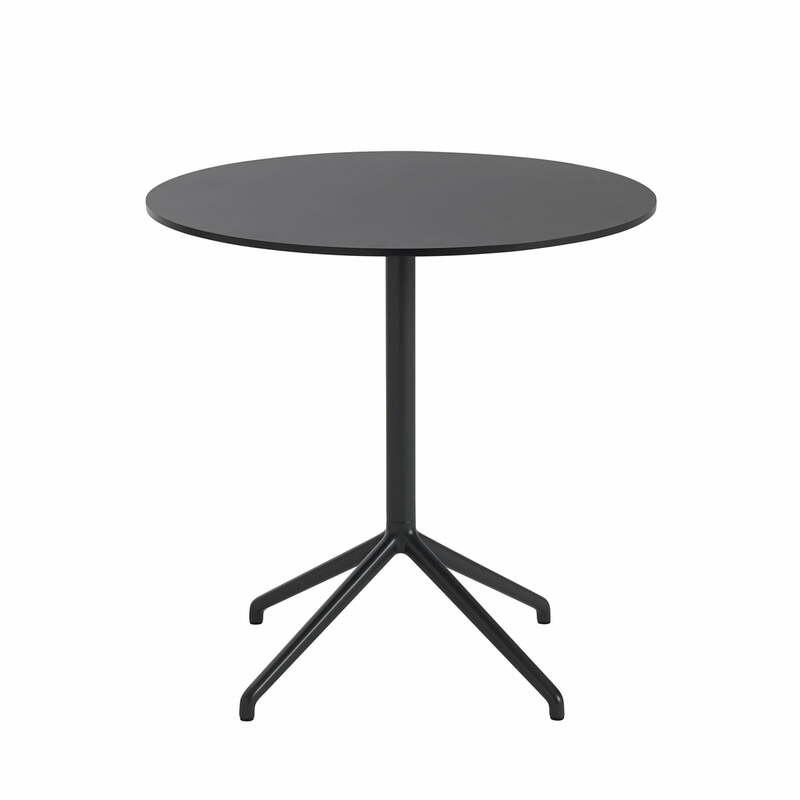 Still Café table, Ø 75 x H 73 cm in black by Muuto in single view. The Still Café table in round by Iskos-Berlin for Muuto is characterized by its clear expression without any frills, with which it blends perfectly into any ambience. Still Café table, round in black by Muuto in the ambience view. Used as a small kitchen table as well as in bistros, hotels, bars or in the office, it convinces with its simple design and refined details.